Arkansas is a pioneer when it comes to Medicaid work requirements. As with anyone who is among the first to do something, implementation may not be perfect. But the rationale behind work requirements is solid. The evidence continues to accumulate that Medicaid’s structure discourages recipients to work, much to their detriment. Anything that states can do to fix this anti-work bias in Medicaid only helps those on Medicaid. People who receive income-related benefits have powerful disincentives to work. A job provides income. Too much income results in loss of benefits. These perverse incentives discourage people from pursuing the surest way to escape poverty: a job. Work requirements help break this dynamic, discouraging long-term dependency. When discussing work requirements, it is important to point out that they only apply to a subset of Medicaid recipients, those who are newly-enrolled through Obamacare. Generally these are working-age people who are not caring for children and do not have disabilities. No one is saying that someone with a severe disability should be forced to look for work. No one is going to force a single mother with an infant at home to seek a job or lose Medicaid for her family. It is also important to point out that a work requirement does not fix the root problems of Medicaid’s anti-work structure. Instead, it helps offset that problem to a small extent. 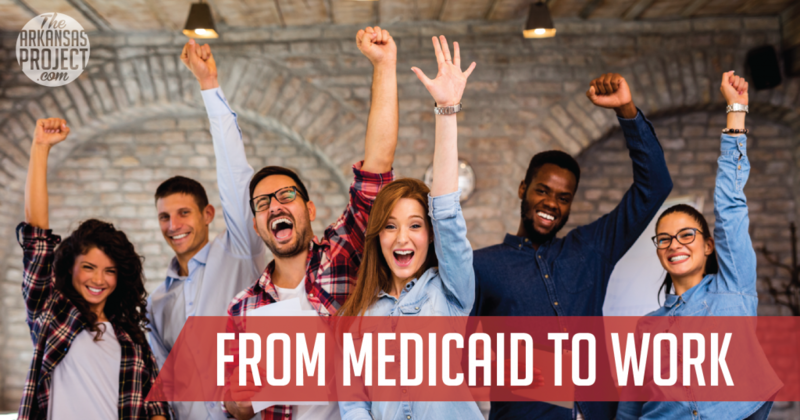 Until there is overall Medicaid reform, the program will continue to penalize those who seek work or find themselves getting promoted while on Medicaid. While there can be disagreements on how work requirements are implemented, it should not be controversial that everyone is better off if more Medicaid recipients move into the workforce. Those who criticize Arkansas’s work requirement should look for ways to improve its design instead of defending a government program’s structure that hurts those looking to escape poverty.